A 1-2/1-2 structure is an indication that the larger degree impulse wave in development is extending. All extended waves are going to have a 1-2/1-2 structure. Typically, you will find them in wave 3's, but they certainly can develop in waves 1 and 5. The 2nd Wave 1 almost always exceeds the first wave 1. The 2nd Wave 2 almost never moves beyond the first wave 2 pivot. 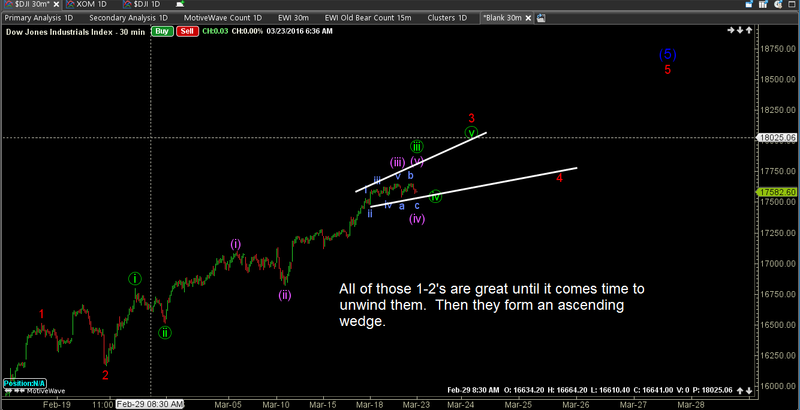 The 2nd Wave 1-2 structure most often does not exhibit alternation. You might end up with two wave 2 zigzags, or 2 flats. 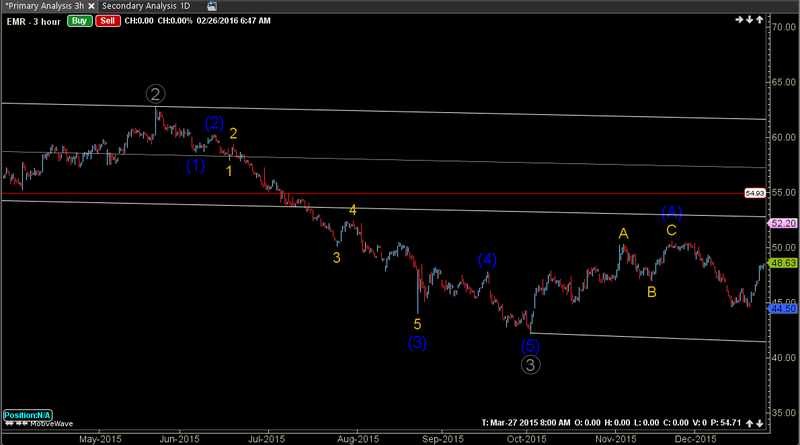 This can be a tip-off that you are not looking at wave 4, but rather a second 2nd wave. The second 2nd wave is typically not as steep as the first 2nd wave. The 1-2/1-2 structure is not difficult to identify, even in real time. A typical impulse wave normally forms with a wave 1 of some indeterminate distance, and a wave 2 retracement typically of 50% to 61.8% of the wave 1 movement. Then, wave 3 will take off in a very impulsive manner, creating quite a distance between the wave 1 pivot and where the wave 3 pivots. With a 1-2/1-2 structure, price most often moves back into the territory of the previous wave 1-2 range. Doesn't have to, but it does need to be close. seeing the development of a smaller degree impulse wave, so expect it to be a bit smaller than the larger degree structure. There are two types of 1-2/1-2 combinations. The short advance 1-2/1-2 occurs when the wave 1 pivot is overcome in what you think is to be wave 3, but price stops shortly after surpassing the wave 1 pivot and returns back into the range of waves 1-2. Wave 3 is supposed to fly. When you find yourself frustrated because the price isn't moving as expected, that is the point you should suspect another 1-2 is in the works. 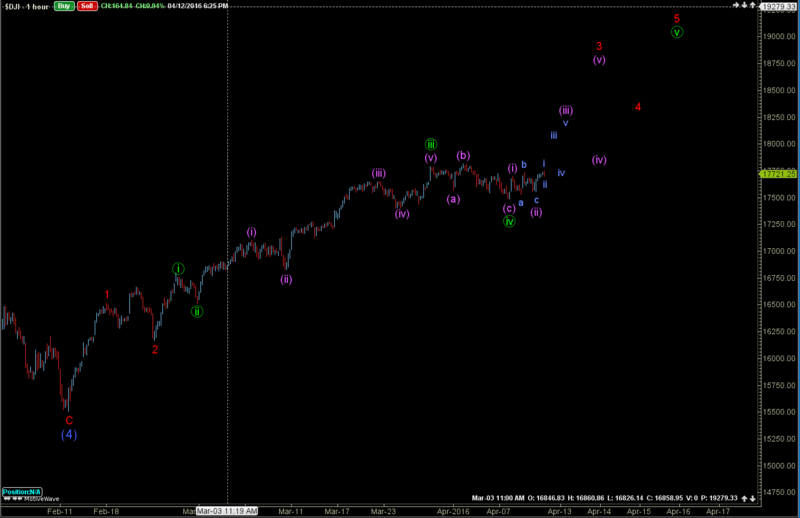 There are times when wave 3 develops normally and you have at least a 1.618 extension beyond wave 1. Wave 3 looks good, but price then proceeds to pull back into the range of waves 1-2. You might be tempted to call the structure wave 4 and label the wave as diagonal, but if you can clearly identify 5 waves, rather than 3, in wave 1 you are more likely looking at a 1-2/1-2. The second Wave 1 MUST have overlapped the first Wave 1 or it should be treated as a B wave in an ongoing wave 2 correction. Potentially it is an internal wave 1-2, but not the start of an extension. - To clarify, an extension suggests a massive elongation of the impulse pattern. All impulse waves 1,3, and 5 have internal 5 wave structures as well. The fact that you can see the internal 1-2 at times does not mean the larger wave will extend. When the second wave 1 does not exceed the first, the probabilities are that the wave is not going to extend. Not every double pair of pivots is a 1-2/1-2, however. Here are some important considerations to keep you on track. The 2nd wave 1 must advance beyond the pivot of the previous wave 1. The 2nd wave 2 pivot must not move beyond the previous wave 2 pivot. It either of these is not true, then you are likely still seeing the first wave 2 developing or a B wave triangle working in the 1st Wave 2. The fact that wave 3 most normally extends, and in order to have that extension you must have a second 1-2 structure (not necessarily visible on the same time frame), it gives you an opportunity to enter the trade at the 2nd 1-2. That is, once the price has passed the first wave 1 pivot you can look to enter the trade at the 2nd wave 2 pivot. 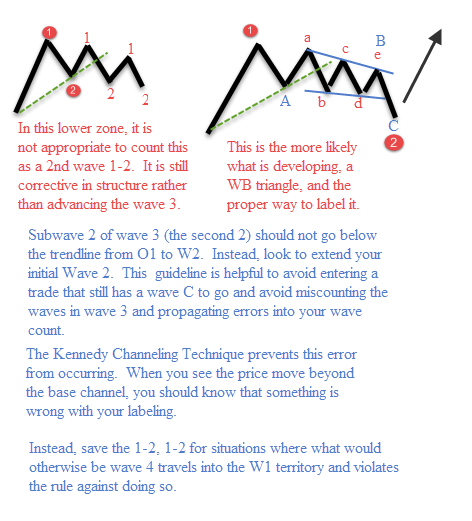 The more 1-2/1-2 waves you have the more choppy "unwinding" will need to be done in the form of multiple wave 4s and 5s as final waves to close up the 1-2/1-2 structures. As the chart below shows, beginning in February of 2016, the DJI Index began a strong impulse wave higher. We noted 3 sets of concurrent 1-2 waves leading into the circle IV correction (bright green), with a great deal of complexity still to come in the remaining waves.